1. Mantovani A., Allavena P., Sica A. Tumour-associated macrophages as a prototypic type II polarised phagocyte population: role in tumour progression. Eur J Cancer 2004;40(11):1660–7. DOI: 10.1016/j.ejca.2004.03.016. PMID: 15251154. 2. Mantovani A., Bottazzi B., Colotta F. et al. The origin and function of tumor-associated macrophages. Immunol Today 1992;13(7):265–70. DOI: 10.1016/0167-5699(92)90008-U. PMID: 1388654. 3. Mantovani A., Locati M. Tumor-associated macrophages as a paradigm of macrophage plasticity, diversity, and polarization: lessons and open questions. Arterioscler Thromb Vasc Biol 2013;33(7):1478–83. DOI: 10.1161/ATVBAHA.113.300168. PMID: 23766387. 4. Toge H., Inagaki T., Kojimoto Y. et al. Angiogenesis in renal cell carcinoma: the role of tumor-associated macrophages. Int J Urol 2009;16(10):801–7. DOI: 10.1111/j.1442-2042.2009.02377.x. PMID: 19811548. 5. Garcia J.A., Cowey C.L., Godley P.A. Renal cell carcinoma. Curr Opin Oncol 2009;21(3):266–71. DOI: 10.1097/CCO.0b013e32832a05c8. PMID: 19339887. 6. Yu M.C., Mack T.M., Hanisch R. et al. Cigarette smoking, obesity, diuretic use, and coffee consumption as risk factors for renal cell carcinoma. J Natl Cancer Inst 1986;77(2):351–6. PMID: 3461197. 7. Rathmell W.K., Godley P.A. Recent updates in renal cell carcinoma. Curr Opin Oncol 2010;22(3):250–6. DOI: 10.1097/CCO.0b013e328337a5d2. PMID: 20154618. 8. Stein M., Keshav S., Harris N., Gordon S. Interleukin 4 potently enhances murine macrophage mannose receptor activity: a marker of alternative immunologic macrophage activation. J Exp Med 1992;176(1):287–92. PMID: 1613462. 9. Gratchev A., Guillot P., Hakiy N. et al. Alternatively activated macrophages differentially express fibronectin and its splice variants and the extracellular matrix protein betaIG-H3. Scand J Immunol 2001;53(4):386–92. PMID: 11285119. 10. Gratchev A., Kzhyshkowska J., Kannookadan S. et al. Activation of a TGF-beta-specific multistep gene expression program in mature macrophages requires glucocorticoid-mediated surface expression of TGFbeta receptor II. J Immunol 2008;180(10): 6553–65. PMID: 18453574. 11. Murray P.J., Allen J.E., Biswas S.K. et al. Macrophage activation and polarization: nomenclature and experimental guidelines. Immunity 2014;41(1):14–20. DOI: 10.1016/j.immuni.2014.06.008. PMID: 25035950. 12. Goerdt S., Orfanos C.E. Other functions, other genes: alternative activation of antigenpresenting cells. Immunity 1999;10(2): 137–42. PMID: 10072066. 13. Gordon S. Alternative activation of macrophages. Nat Rev Immunol 2003;3(1):23–35. DOI: 10.1038/nri978. PMID: 12511873. 14. Gratchev A., Schledzewski K., Guillot P., Goerdt S. Alternatively activated antigen-presenting cells: molecular repertoire, immune regulation, and healing. Skin Pharmacol Appl Skin Physiol 2001;14(5):272–9. DOI: 56357. PMID: 11586068. 15. Goerdt S., Politz O., Schledzewski K. et al. Alternative versus classical activation of macrophages. Pathobiology 1999;67(5–6): 222–6. DOI: 28096. PMID: 10725788. 16. Schaer D.J., Boretti F.S., Hongegger A. et al. Molecular cloning and characterization of the mouse CD163 homologue, a highly glucocorticoid-inducible member of the scavenger receptor cysteine-rich family. Immunogenetics 2001;53(2):170–7. PMID: 11345593. 17. Elshourbagy N.A., Li X., Terrett J. et al. Molecular characterization of a human scavenger receptor, human MARCO. Eur J Biochem 2000;267(3):919–26. PMID: 10651831. 18. Gratchev A., Kzhyshkowska J., Utikal J., Goerdt S. Interleukin-4 and dexamethasone counterregulate extracellular matrix remodelling and phagocytosis in type-2 macrophages. Scand J Immunol 2005;61(1):10–7. DOI: 10.1111/j.0300-9475.2005.01524.x. PMID: 15644118. 19. Vannier E., Miller L.C., Dinarello C.A. Coordinated antiinflammatory effects of interleukin 4: interleukin 4 suppresses interleukin 1 production but up-regulates gene expression and synthesis of interleukin 1 receptor antagonist. Proc Natl Acad Sci USA 1992;89(9):4076–80. PMID: 1533284. 20. Vannier E., de Waal M.R., Salazar-Montes A. et al. Interleukin-13 (IL-13) induces IL-1 receptor antagonist gene expression and protein synthesis in peripheral blood mononuclear cells: inhibition by an IL-4 mutant protein. Blood 1996;87(8):3307–15. PMID: 8605347. 21. Kodelja V., Muller C., Politz O. et al. Alternative macrophage activation-associated CCchemokine-1, a novel structural homologue of macrophage inflammatory protein-1 alpha with a Th2-associated expression pattern. J Immunol 1998;160(3):1411–8. PMID: 9570561. 22. Van Ginderachter J.A., Movahedi K., Hassanzadeh Ghassabeh G. et al. Classical and alternative activation of mononuclear phagocytes: picking the best of both worlds for tumor promotion. Immunobiology 2006;211(6–8):487–501. DOI: 10.1016/j.imbio.2006.06.002. PMID: 16920488. 23. Chang C., Werb Z. The many faces of metalloproteases: cell growth, invasion, angiogenesis and metastasis. Trends Cell Biol 2001;11(11):S37–43. PMID: 11684441. 24. Liu Q., Zhang G.W., Zhu C.Y. et al. Clinicopathological significance of matrix metalloproteinase 2 protein expression in patients with renal cell carcinoma: A case-control study and meta-analysis. Cancer Biomark 2016;16(2): 281–9. DOI: 10.3233/CBM-150566. PMID: 26756619. 25. Duffy M.J. Urokinase plasminogen activator and its inhibitor, PAI-1, as prognostic markers in breast cancer: from pilot to level 1 evidence studies. Clin Chem 2002;48(8): 1194–7. PMID: 12142372. 26. Andreasen P.A., Kjoller L., Christensen L., Duffy M.J. The urokinase-type plasminogen activator system in cancer metastasis: a review. Int J Cancer 1997;72(1):1–22. PMID: 9212216. 27. Hildenbrand R., Dilger I., Horlin A., Stutte H.J. Urokinase and macrophages in tumour angiogenesis. Br J Cancer 1995;72(4):818–23. PMID: 7547226. 28. Hildenbrand R., Glienke W., Magdolen V. et al. Urokinase receptor localization in breast cancer and benign lesions assessed by in situ hybridization and immunohistochemistry. Histochem Cell Biol 1998;110(1):27–32. PMID: 9681686. 29. Foekens J.A., Peters H.A., Look M.P. et al. The urokinase system of plasminogen activation and prognosis in 2780 breast cancer patients. Cancer Res 2000;60(3):636–43. PMID: 10676647. 30. Fuessel S., Erdmann K., Taubert H. et al. Prognostic impact of urokinase-type plasminogen activator system components in clear cell renal cell carcinoma patients without distant metastasis. BMC Cancer 2014;14:974. DOI: 10.1186/1471-2407-14-974. PMID: 25519168. 31. Komohara Y., Hasita H., Ohnishi K. et al. Macrophage infiltration and its prognostic relevance in clear cell renal cell carcinoma. Cancer Sci 2011;102(7):1424–31. DOI: 10.1111/j.1349-7006.2011.01945.x. PMID: 21453387. 32. Daurkin I., Eruslanov E., Stoffs T. et al. Tumor-associated macrophages mediate immunosuppression in the renal cancer microenvironment by activating the 15-lipoxygenase-2 pathway. Cancer Res 2011;71(20):6400–9. DOI: 10.1158/0008-5472.CAN-11-1261. PMID: 21900394. 33. Eruslanov E., Stoffs T., Kim W.J. et al. Expansion of CCR8(+) inflammatory myeloid cells in cancer patients with urothelial and renal carcinomas. Clin Cancer Res 2013;19(7):1670–80. DOI: 10.1158/1078-0432.CCR-12-2091. PMID: 23363815. 34. Ikemoto S., Yoshida N., Narita K. et al. Role of tumor-associated macrophages in renal cell carcinoma. Oncol Rep 2003;10(6):1843–9. PMID: 14534706. 35. Petrella B.L., Vincenti M.P. Interleukin1beta mediates metalloproteinase-dependent renal cell carcinoma tumor cell invasion through the activation of CCAAT enhancer binding protein beta. Cancer Med 2012;1(1):17–27. DOI: 10.1002/cam4.7. PMID: 23342250. 36. Chittezhath M., Dhillon M.K., Lim J.Y. et al. Molecular profiling reveals a tumor-promoting phenotype of monocytes and macrophages in human cancer progression. Immunity 2014;41(5):815–29. DOI: 10.1016/j.immuni.2014.09.014. PMID: 25453823. 37. Ma C., Komohara Y., Ohnishi K. et al. Infiltration of tumor-associated macrophages is involved in CD44 expression in clear cell renal cell carcinoma. Cancer Sci 2016;107(5):700–7. DOI: 10.1111/cas.12917. PMID: 26918621. 38. Komohara Y., Morita T., Annan D.A. et al. The coordinated actions of TIM-3 on cancer and myeloid cells in the regulation of tumorigenicity and clinical prognosis in clear cell renal cell carcinomas. Cancer Immunol Res 2015;3(9):999–1007. DOI: 10.1158/2326-6066.CIR-14-0156. PMID: 25783986. 39. Xu L., Zhu Y., Chen L. et al. Prognostic value of diametrically polarized tumor-associated macrophages in renal cell carcinoma. Ann Surg Oncol 2014;21(9):3142–50. DOI: 10.1245/s10434-014-3601-1. PMID: 24615178. 40. Li C., Liu B., Dai Z., Tao Y. Knockdown of VEGF receptor-1 (VEGFR-1) impairs macrophage infiltration, angiogenesis and growth of clear cell renal cell carcinoma (CRCC). Cancer Biol Ther 2011;12(10):872–80. DOI: 10.4161/cbt.12.10.17672. PMID: 21989163. 41. Behnes C.L., Bremmer F., Hemmerlein B. et al. Tumor-associated macrophages are involved in tumor progression in papillary renal cell carcinoma. Virchows Arch 2014;464(2):191–6. DOI: 10.1007/s00428-013-1523-0. PMID: 24327306. 42. 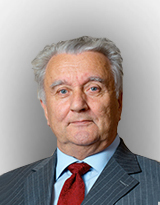 Politz O., Gratchev A., McCourt P.A. et al. Stabilin-1 and -2 constitute a novel family of fasciclin-like hyaluronan receptor homologues. Biochem J 2002;362(Pt 1):155–64. PMID: 11829752. 43. Gratchev A., Schmuttermaier C., Mamidi S. et al. Expression of osteoarthritis marker YKL-39 is stimulated by transforming growth factor beta (TGF-beta) and IL-4 in differentiating macrophages. Biomark Insights 2008;3:39–44. PMID: 19578492. 44. Kzhyshkowska J., Mamidi S., Gratchev A. et al. Novel stabilin-1 interacting chitinase-like protein (SI-CLP) is up-regulated in alternatively activated macrophages and secreted via lysosomal pathway. Blood 2006;107(8):3221–8. DOI: 10.1182/blood-2005-07-2843. PMID: 16357325. 45. Buldakov M., Zavyalova M., Krakhmal N. et al. CD68+, but not stabilin-1+ tumor associated macrophages in gaps of ductal tumor structures negatively correlate with the lymphatic metastasis in human breast cancer. Immunobiology 2015. DOI: 10.1016/j.imbio.2015.09.011. При поддержке: Российский научный фонд (проект № 14-15-00396).